Pfizer is to launch a new double-blockbuster cardiovascular product to help further its position as the Goliath of the pharmaceutical industry. Schering-Plough has issued its third earnings warning this year as it continues to suffer under an onslaught from generic competition. Elan is taking legal action to force King Pharmaceuticals to buy two drugs it urgently needs to divest to help tackle debts of $1.3 billion. UK cell therapy company CellFactors has made progress in its fundraising efforts as it seeks to secure a short-term revenue stream. 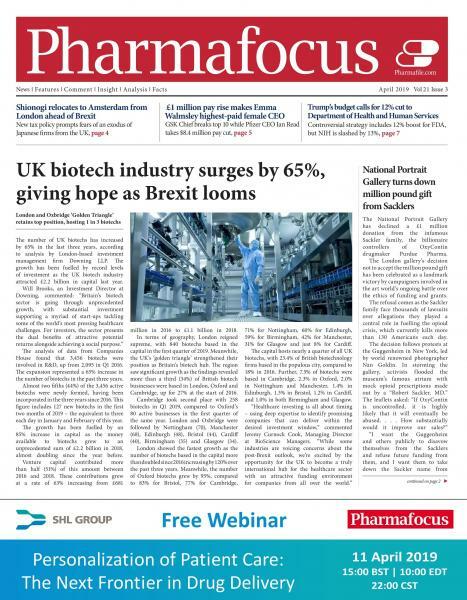 British Biotech and Vernalis are to merge, marking a continuation of much-needed consolidation with the UK biotech sector. A consultant surgeon at Halton Hospital in Cheshire has been elected as new Chairman of the BMA to replace Dr Ian Bogle.